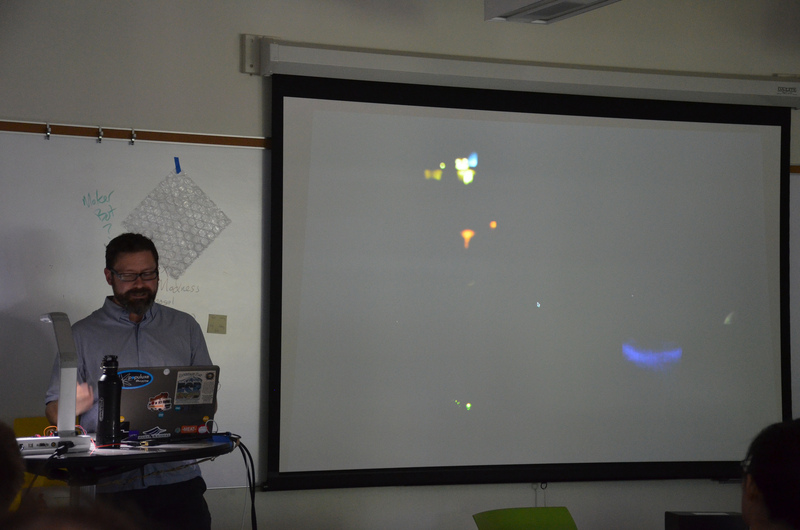 This week we had Ryan Moore, who is an HCDE grad student and industrial designer, give us a short workshop on the basics of 3D modeling and printing. He taught us the steps to using 3D printing technology. After this we made our own design for a chess piece and had the opportunity to print it out. Then we had free studio time to work on our final projects or to continue learning the 3D printing technology. My parts for my final project are coming in tomorrow afternoon so I should be able to get my project started very soon! This week we discussed our final projects even further by getting into small groups based upon our project proposal write up. However, I decided to change my project idea the night before so I was not in a group that had a similar project. Even though this happened, my partner and I were able to discuss and share our ideas and input. My new project idea is for a volume unit display hat. It will sense the amount of noise around it and change its LED light display accordingly. 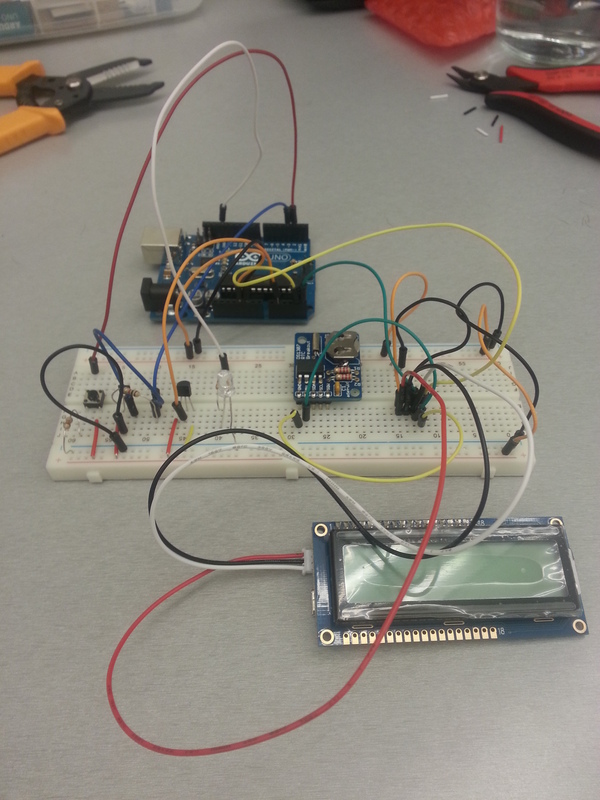 After I get this to work I will experiment further by giving the user different outputs based upon different things. 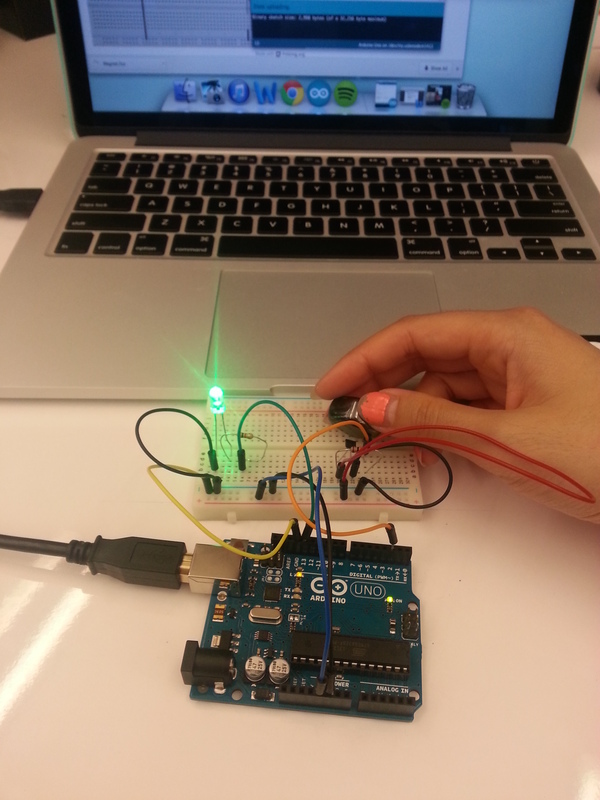 I was thinking I could get a light sensor and make the hat flash to remind the user when to put on more sun screen. After this, we had a short lecture about wireless technologies we could use with our Arduino projects, for example the XBee. 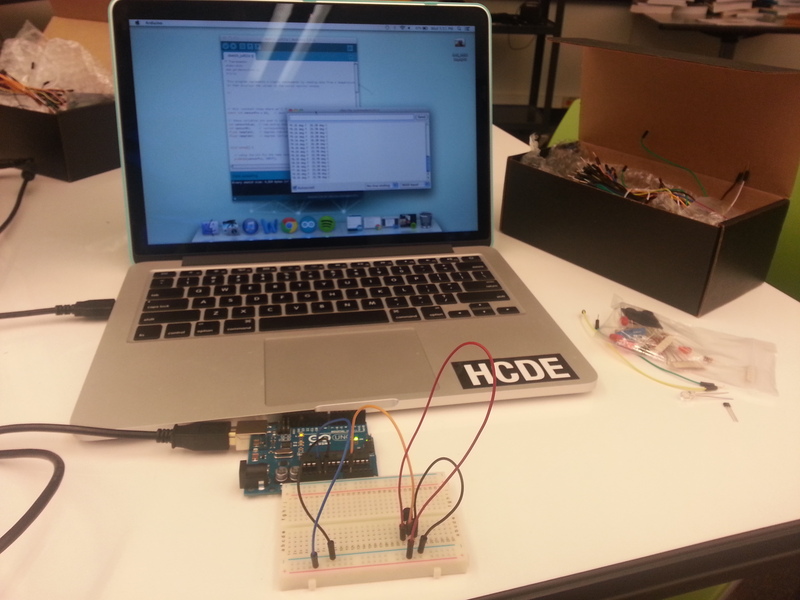 Then Aniket showed us how he wirelessly connected his Arduino to the traffic light in the back of the room. Then, we had free studio time to start working on our projects. I spent this time writing up a new proposal for my project and then looking up the parts I needed to build it. When I got back home I ordered all the parts. I am excited for all my parts to arrive so that I can start building! 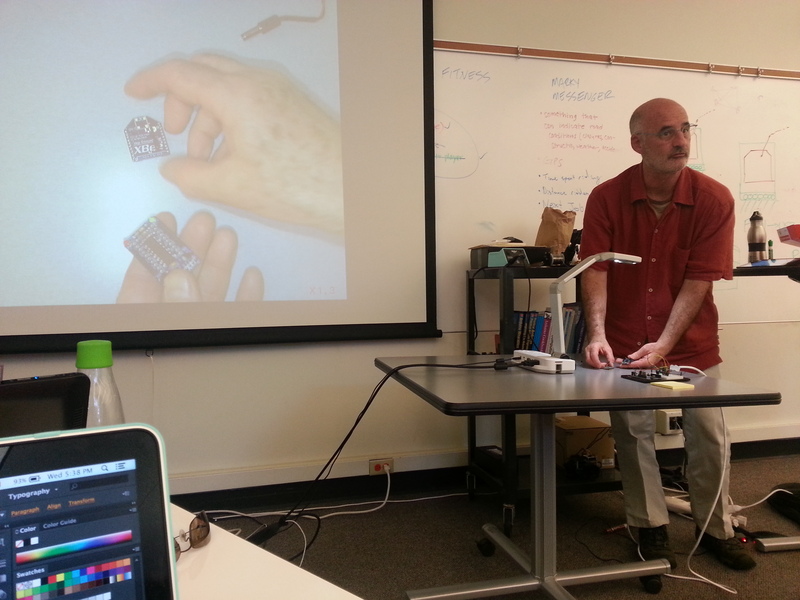 This week we started class of by having Tyler talk about project that involving physical computing. He was experimenting with fluorescent bacteria and a human’s pulse in making an interactive art piece. 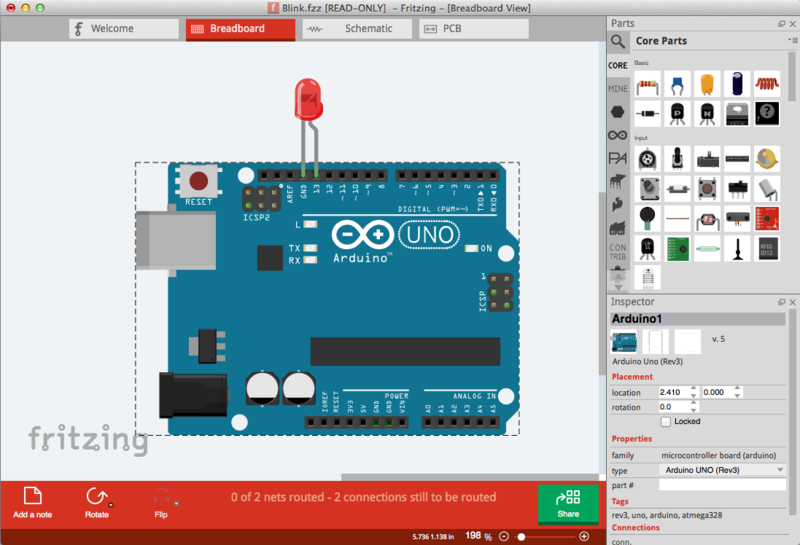 Then we learned about Fritzing, a tool for creating diagrams of the circuits made with Arduino. 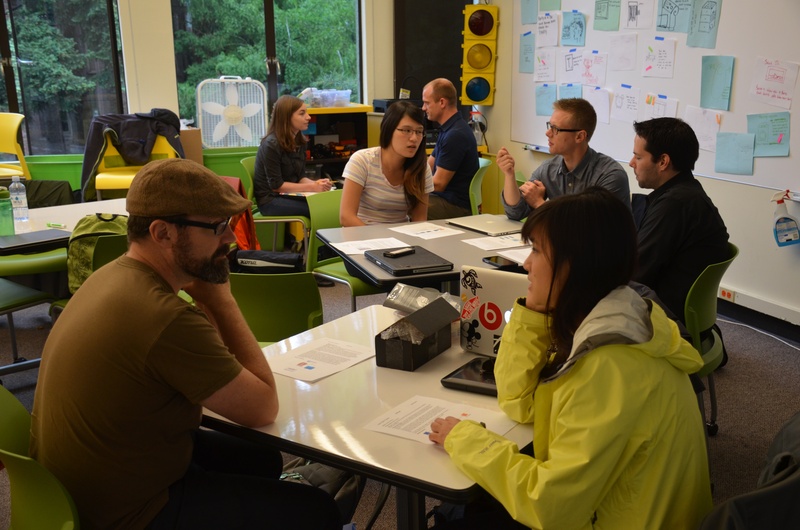 After that, we got into small groups and discussed our final project ideas. It was interesting to hear more in depth what some of my classmates’ ideas were and also to expand on my own. We talked about how we were actually going to do our projects, which got me thinking more realistically about my project. This week we started off by giving one minute presentations on the ideas we had for our final project. My first idea was to experiment with conductive paint and make a control pad to play games on computers. My second idea was to connect my garage opener to my phone so that I could open my garage through my phone and also my family members’ phones. 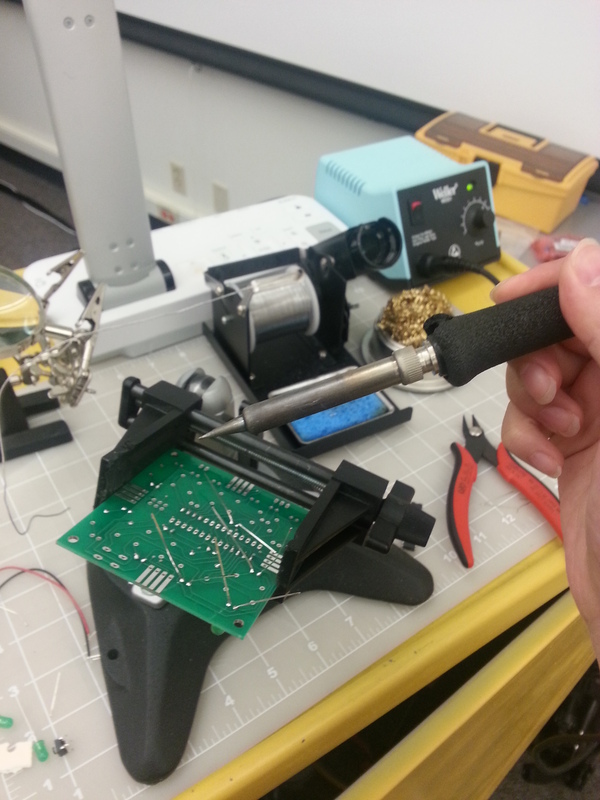 Then we continued working on the Bike Computer assignment and we also learned how to solder. 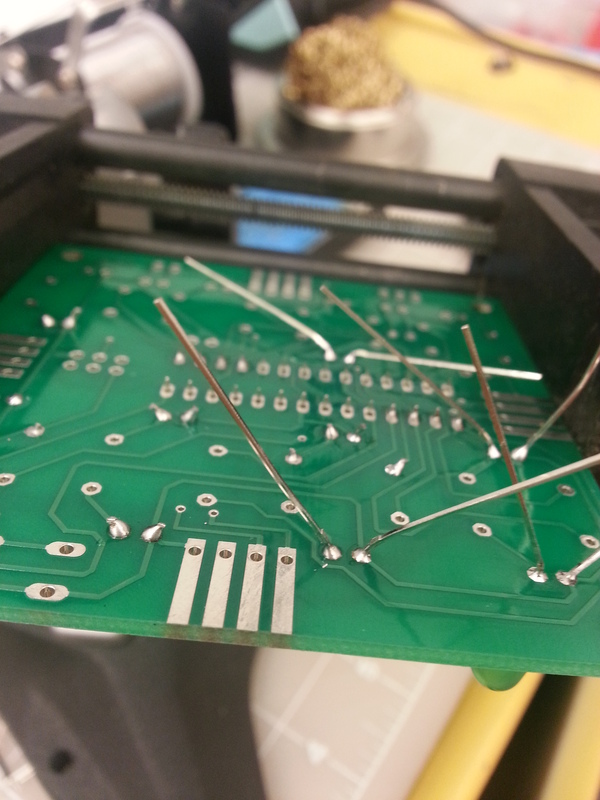 I practiced soldering on LED lights and then obtained a LCD display which I had to solder parts of it together. I also got a clock, so now that I have all the materials needed for the Bike Computer. I plan to finish this assignment up so that I can test it out during next class. 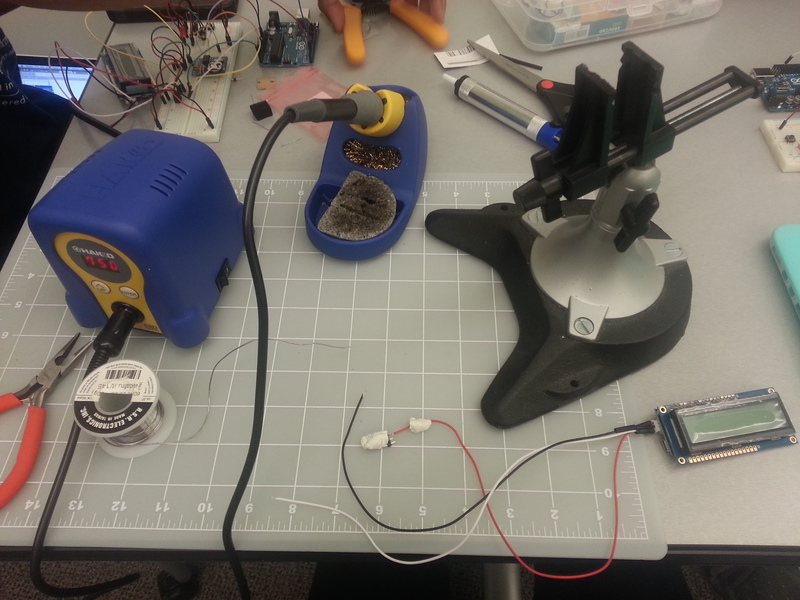 This week we got to experiment with a magnet sensor and a temperature sensor, which was my first time dealing with sensing technology. The first picture shows the temperature code working, displaying the temperature on the display window on the screen in real time. The second picture uses a magnet sensor which displays a 0 on the screen if there is a magnet nearby and also lights up the green LED light. If there is no magnet close the screen displays a 1. 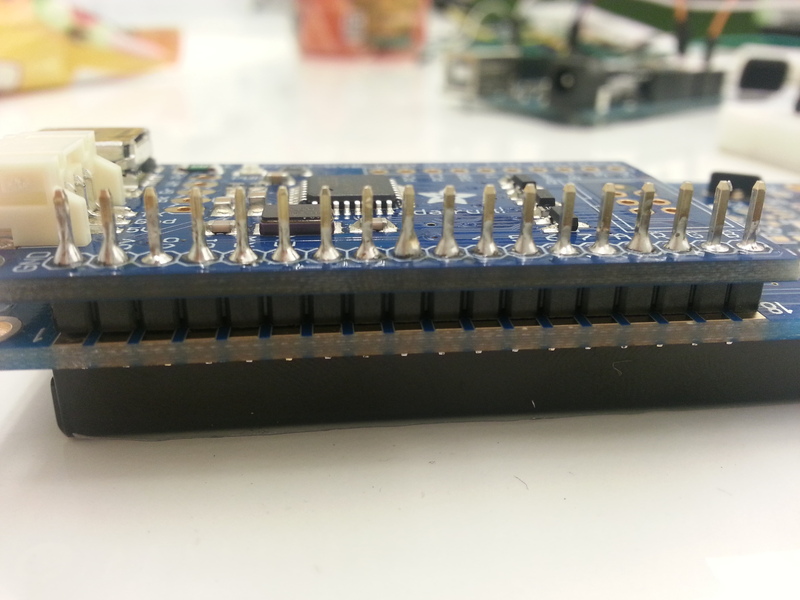 The third picture is a button that is connected to the Arduino and turns the LED on. These are small parts of a whole assignment we were given – to create a Bicycle Computer. 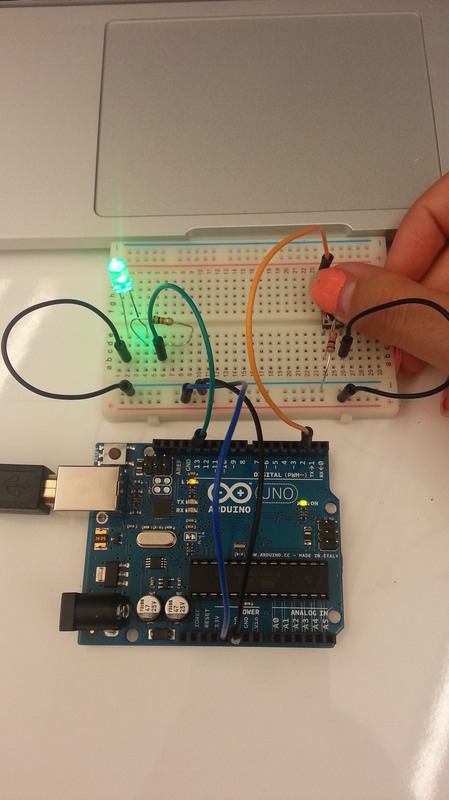 Experimenting with these sensors and getting them to work introduced me to the possibilities with Arduino technology.